Nesdek Review - Nesdek Scam Exposed! Nesdek Review – Nesdek Scam Exposed! Nesdek is a relatively new binary trading software that has managed to trap quite a few victims, and we are here to show that Nesdek is a scam. Our Nesdek review documents some of the strong evidence that we have found, so make sure you read through it before signing up for an obvious scam! As soon as you enter the homepage of Nesdek trading software, you’ll be greeted with a sales video that dominates the screen, along with a sign up form on the right. If you look closer, you’ll realize that there’s a timer that starts tickling down from 10 minutes as soon as the sales video started playing. It’s said that if the timer depletes, you will lose your chance of getting the miracle software forever. On the other hand, Mike Mc Donald, the alleged founder of the software dishes out sales pitch after sales pitch trying to get you to sign up to Nesdek trading software. 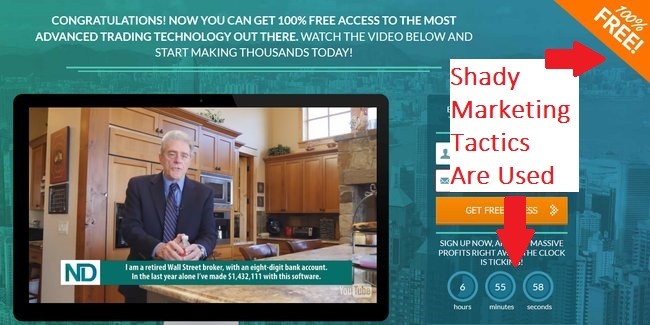 Under the pressure of limited time and spots, Mike shows the impossible feat of making huge profits through a fully automated software, and claims that it comes 100% free and guaranteed to make you money. The hypes and limited time offers are some shady marketing tactics that are prevalent in online scams. Fake timers are used repeatedly in binary software scams to invoke a sense of urgency in its target victims. The same tactic was also used in similar scams such as Hoffman Stein Nexus App and Million Dollar Duplicator scams that we have reviewed before. All of them claim that there are limited spots left, and you have to act quickly before the timer reaches zero. One easy way to find out if the timer is real is to refresh the webpage by pressing F5 button on your keyboard, and you’ll notice that the timer resets back to 10 minutes, no matter how much time was left before that. The truth is, this countdown timer is just a computer script that is set to countdown every time the webpage is loaded. There are no limited spots to Nesdek scam, and this is just a marketing tactic used to force its victim into action. Below the sales video, we found a couple of client testimonials that seem to give a raving positive review for Nesdek trading software. Take Lisa Powers (screenshot above) as an example. She claims to have made $54,580 in a week’s time on an initial deposit of $250, which is very impressive. She has even recorded a video to thank the team of Nesdek software, so we got curious and decided to investigate further. What we found was highly disappointing. 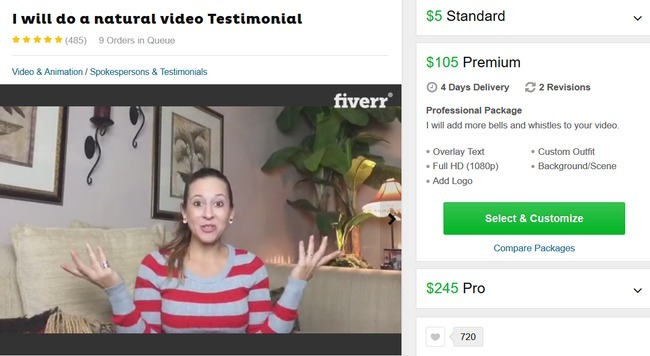 We found her actress profile in Fiverr.com, where she charges $5 to record a “natural video testimonial” for her clients. If you want to verify it for yourself, you can visit her profile at this link: fiverr.com/dclover1. Fiverr actors and actresses offer their services by endorsing whatever their client requests. 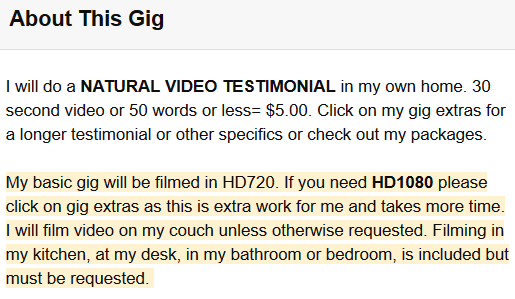 Take a look at the gig description for this actress, where she offers to do a natural video testimonial with different price points depending on the number of words in the client’s script. So the next time you come across opportunities that sound too good to be true, it’s wise to be skeptical and do some research. Did NBC News really feature Nesdek? In the homepage of Nesdek trading software, we saw an excerpt from NBC News article which gave praise to Nesdek method. However, scams such as Hoffman Stein Nexus App has abused the reputation major news websites (such as Forbes) to fabricate non-existent news quotes. Therefore, we decided to investigate a bit further into the NBC News excerpt provided by Nesdek. Fortunately, the majority of news publications offer a search function for us to look into their directory based on keywords. This will show us all the articles that contain the particular keyword we are looking for. The keyword “Nesdek” has never appeared in any publication of NBC News. Don’t just take our words for it, you can conduct a search here at the website of NBC News. 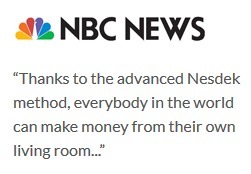 Just like some other binary trader scams we have reviewed earlier, Nesdek scam fabricated a non-existent quote using the name of NBC News. This is yet another trick by the scammers to boost their credibility, aside from using fake member testimonials to confuse their potential victims. We have already received multiple emails from our readers complaining about losing money with Nesdek scam, so make sure you are not the next victim. YES, NESDEK IS A SCAM. We strongly advise you to stay away from the scam if you don’t want to lose your hard-earned money. Safeguard Trader Review – Scam Exposed! Quantum Code Review – Scam Exposed! I just deposited $250, what should I do? Don’t activate the software, and demand a fund withdrawal from your broker. Don’t accept any trading bonus or you may be forced to perform a certain number of trades before you can withdraw.